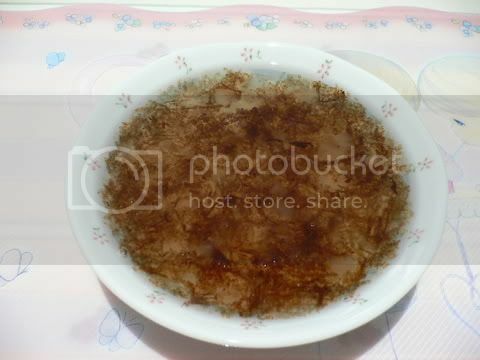 1) Boil sago beads in a pot till its transparent. Remove from boiling water and put them in room temperature water to avoid sticking together. 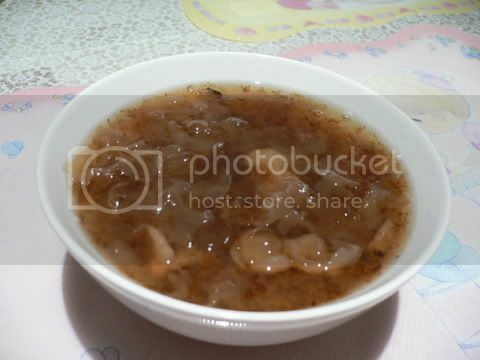 2) In another pot, fill up the 1.3litres of water and throw in dried longan meat, pang da hai, red dates, white fungus. Bring it to a boil. 3) Add rock sugar and boil till sugar is dissolved. 4) Serve either hot or cold. Remember to add the sago beads when serving. *The reason why I 1st par boil the sago beads is so as to avoid the cheng teng to be sticky. ** Ingredients are adjustable according to your taste.